They didn’t originally call it ‘Murder Ball’ for no reason. 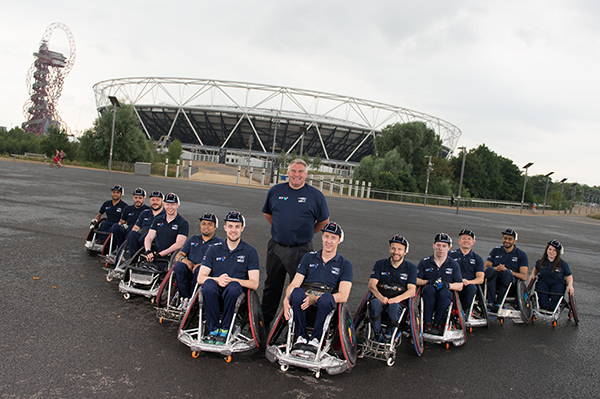 Wheelchair rugby has been hailed as one of the most thrilling and brutal sports within the games, combining elements of basketball, handball and rugby (of course). Debuting in the 1996 Atlanta games as a demonstration sport, it was officially welcomed as part of the Paralympic programme in Sydney 2000. 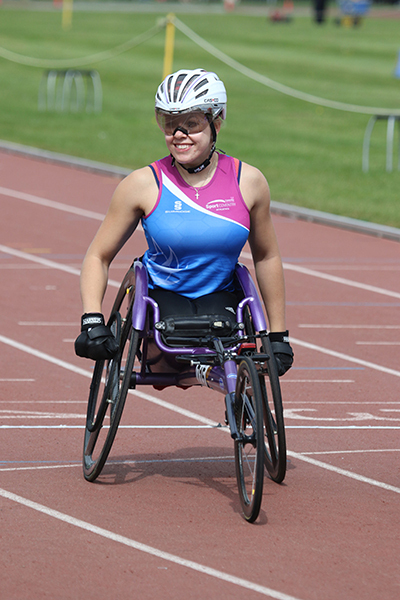 Its tough nature, high intensity, and purpose built wheelchairs designed for smashing into your opponent, make this sport an exciting watch for all and one I shall certainly be keeping an eye on. 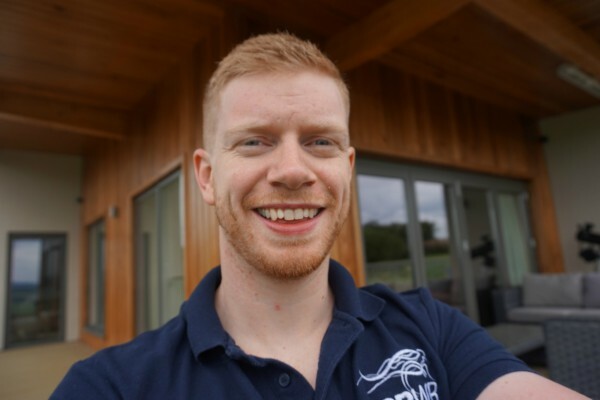 Don’t forget to watch out for Coventry University graduate Jim Roberts! Read more about him here. One of the games’ more fast-paced sports, sitting volleyball first started as a demonstration sport in Toronto 1976, becoming a medal event in Arnhem 1980. 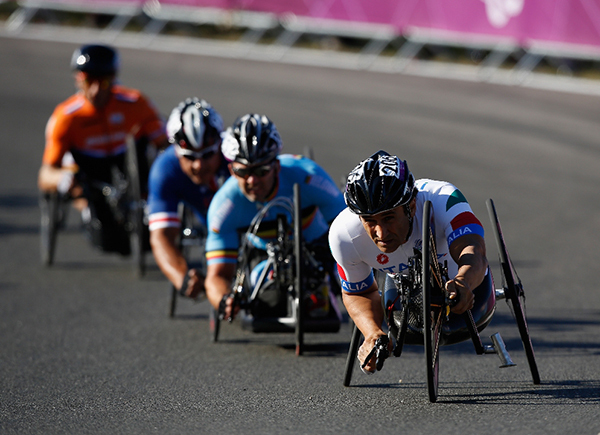 The swift blocks and back-n-forth action make this sport an exciting part of the Paralympic programme. With Brazil having won 9 volleyball medals in the past, but no sitting volleyball titles, they will be looking to make their mark on Rio 2016 as the home nation. Whatever the outcome, this exciting sport is worth a watch. 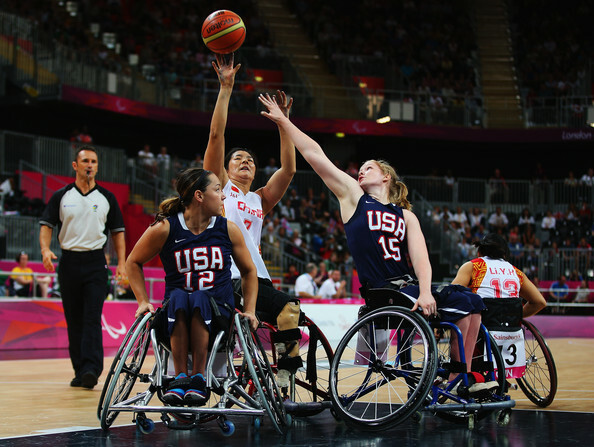 Another exciting sport that deserves a mention is wheelchair basketball. Consisting of 2 teams of 5 players who battle it out by scoring points in the opposition’s basket. It has all the great traits of basketball, however, players must bounce, shoot, or pass the ball every 2 chair pushes. Another of the earlier sports introduced to the games; wheelchair basketball combines pin-point shooting, slick dribbling, and precise passing, along with high-octane competition, to provide spectators with an ultimately thrilling experience. So if you’re tuning into the Paralympics this year be sure to check it out. Cycling Road has been part of the Paralympics since 1984, and will be contested against the backdrop of the beautiful Rio de Janeiro scenery on bicycles, tricycles and tandems. Athletes will compete in a series of long distance road races and against-the-clock time trials. These cyclists put on a show of endurance and explosive speed, with the sport ranking 3rd in the number of overall medals awarded in the Paralympics. 33 gold medals alone are up for grabs, and with Brazil having never won a cycling medal in either road or track, perhaps 2016 will be the home-nations chance to make something happen. And finally, going down a more traditional route: Athletics appeared in the very first edition of the Paralympics, but this sport still has all its excitement and more to this day. In Rio over 1000 athletes will compete, in over 175 track, field, and road events during an 11-day period. Be sure to look out for Team GB’s 200m world record holder Richard Whitehead, who’ll be looking to bring home more gold for team GB. And Coventry University’s own Hannah Cockcroft, a reigning wheelchair athletics champion, who will be competing in the 100m, 400m, AND 800m races this year! With Team GB having a rather successful Olympics this year, let’s hope we can continue the trend in the Paralympic games (we know we can!). 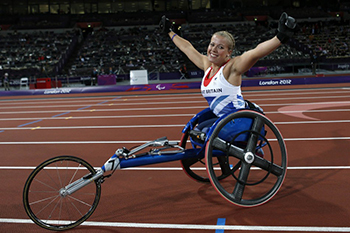 The Gold Rush Continues for Coventry’s Paralympians!